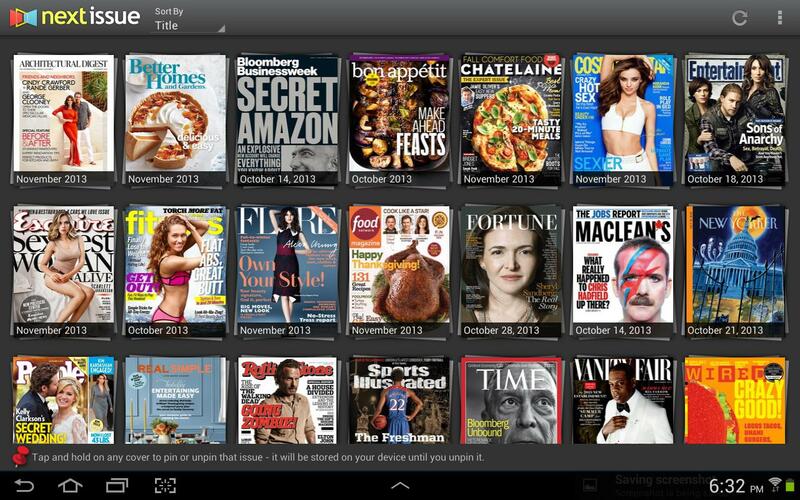 Next Issue gives you unlimited access to more than 140 magazines in one easy-to-use app for iPad and iPhone. Whatever you’re interested in – Entertainment, Technology, Fashion, Sports, Cooking, News, etc. – you’ll find the top magazines from the top publishers all in Next Issue. For the full experience, go create a Next Issue account to start your free 30-day trial. Then, open the app to read all your favorite magazines. Or just download the app and log in using your Facebook account to get free sample magazines. Read as many magazines as you want (including back issues) anytime you want. Immerse yourself in great stories, breathtaking photography, and digital extras – from all of the most well-known magazines. All without the hassles of magazines piling up at home, lugging them on trips or recycling. It’s an entire newsstand at your fingertips. Next issue is available on iOS, Android and Windows 8 devices. The WWE Network Is FREE for November! Stay in School and Win Money or Random Prizes! Print article This entry was posted by Art Eddy III on November 4, 2014 at 6:39 pm, and is filed under Entertainment. Follow any responses to this post through RSS 2.0. Both comments and pings are currently closed.